Establishment of a protected area (PA) is a key global conservation strategy aimed to protect the Earth’s imperiled biodiversity and ecosystems. Globally, PA networks now cover nearly 15% of the terrestrial ecosystem. Despite the importance of PAs in protecting declining biodiversity and unique ecosystems, many of them are in critical condition due to poor governance, thus functioning below the expected level. Moreover, in many developing countries, the PA coverage is lower than the global standard. Recognizing their contemporary role in conservation, governments have recently agreed to expand the global PA coverage to 17% by the year 2020 (Aichi Target 11). 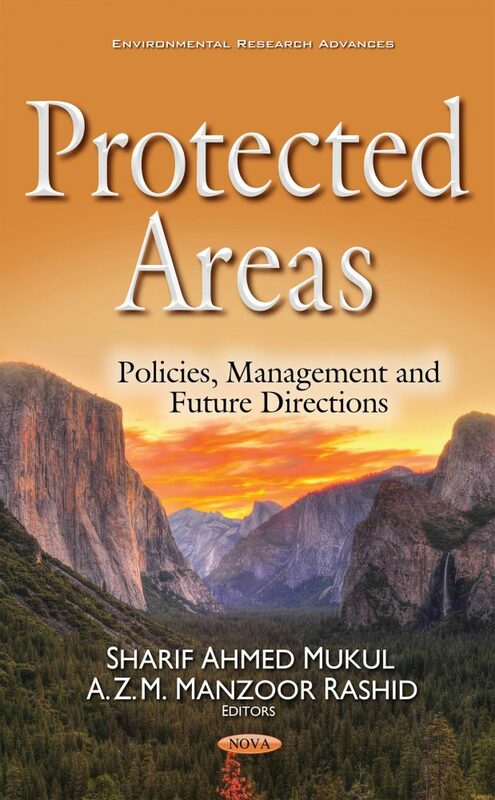 This book with case studies from around the world provides an overview of PA governance, institutional mechanisms, conservation benefits, limitations and challenges associated with their respective policy discourse, integrated management, and functional attributes. Chapter One provides a general overview with an introduction to the chapters, while Chapters Two through Nine present various attributes of protected area management, from policy to governance, conservation to ecotourism, and land-use/cover change to impact on climate. Protected areas will continue to play an important role in conservation and protection of biodiversity and wild habitats, particularly in countries where population pressure and habitat loss are high. Regular intervention, political commitment, and effective governance are essential for the sustainability of PAs across the globe. In this book, we also attempted to shed some light on future developmental clues for the sustainable management and monitoring of PAs worldwide. The target audience of this book includes protected area managers, conservation scientists, and students/researchers/academics based in universities and research institutes working on biodiversity conservation, environment and natural resources management etc.